Yesterday afternoon along with two friends, Mitch and I took the train from Seremban to KL Sentral, the main train station in Kuala Lumpur. From there we transferred to the subway and headed to KL City Centre (KLCC), the main shopping and entertainment district of KL. We wandered around the massive mall, visited a few stores, tried and failed to get tickets to the Malaysian Philharmonic Orchestra (MPO) because none of us knew there was a pretty strict dress code, wandered through a lovely park, and had an excellent meal with our Scottish friends in an Irish bar. Some highlights are below. Enjoy! 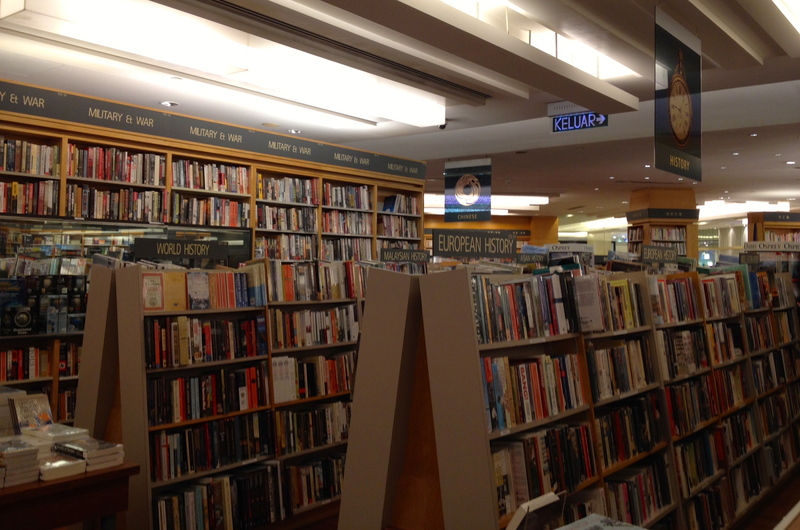 The store in which we spent the longest was a two-story Japanese bookstore with zillions of titles in English. It was very exciting. Both interestingly and frustratingly, the books were wrapped in plastic so patrons couldn’t flip through them. To me, that almost defeats the purpose of a bookstore; I don’t like buying books electronically because I can’t look through them. Same story here. 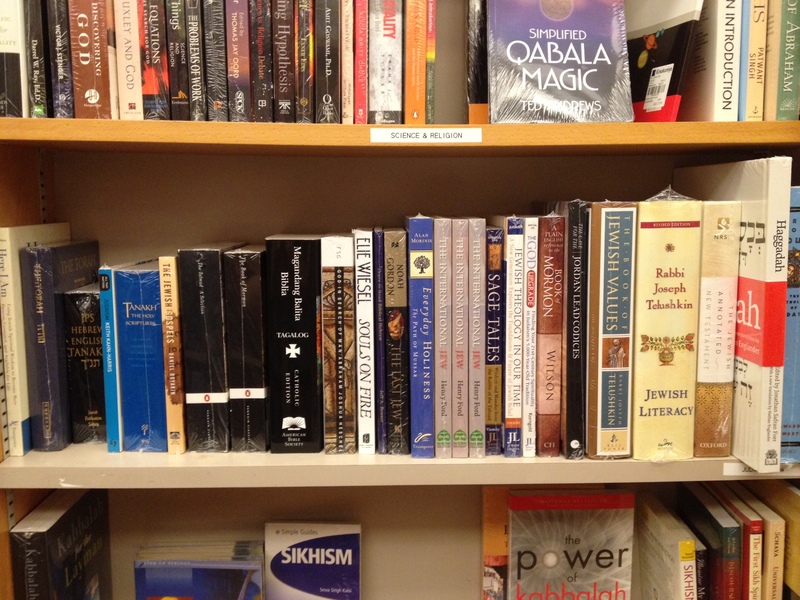 I was very glad, however, to find a section of Jewish history books and a section on Judaism in general. This bookstore was inside a huge mall that was inside and underneath the Petronas Towers. We didn’t go up to the skybridge, but we did gaze up at them from the park outside. 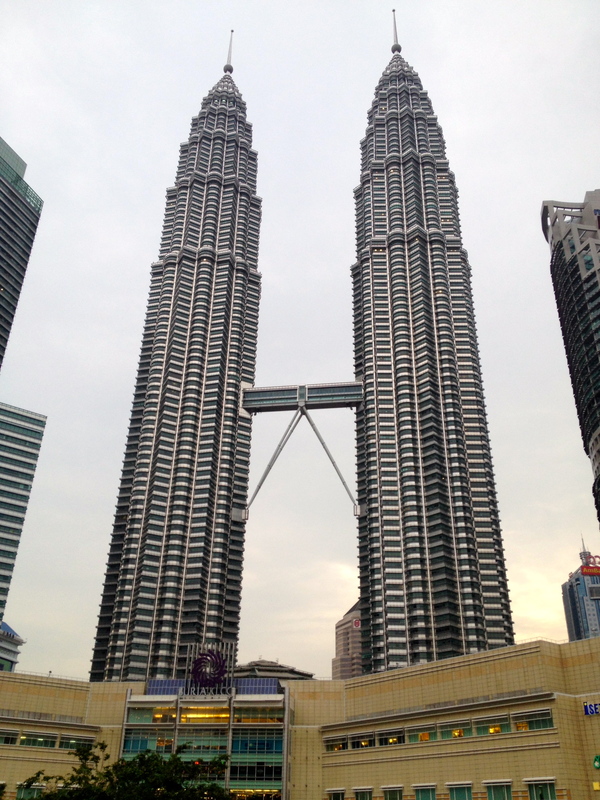 The Petronas Towers are actually the same size. I guess I took the picture from a strange angle. The towers were cool but I thought the park was cooler. 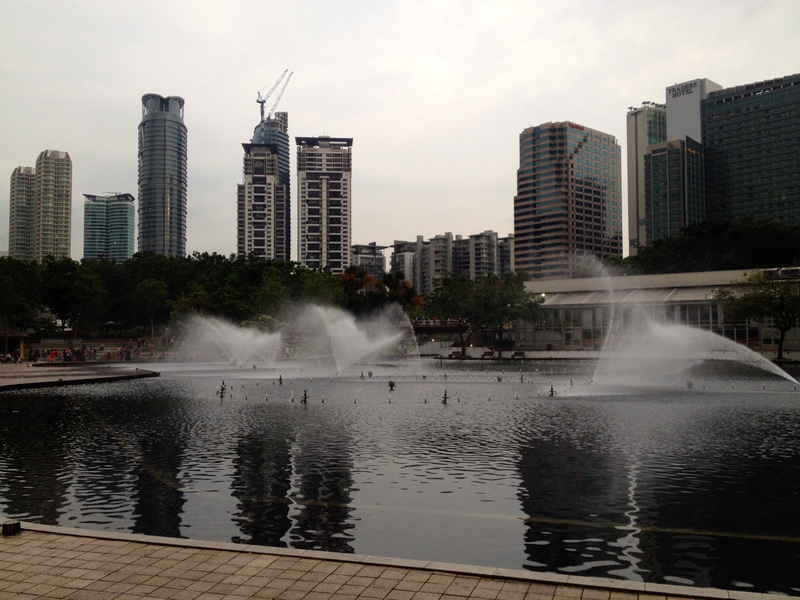 KL is pretty cool – it has dolphins that magically jump out of shallow water! 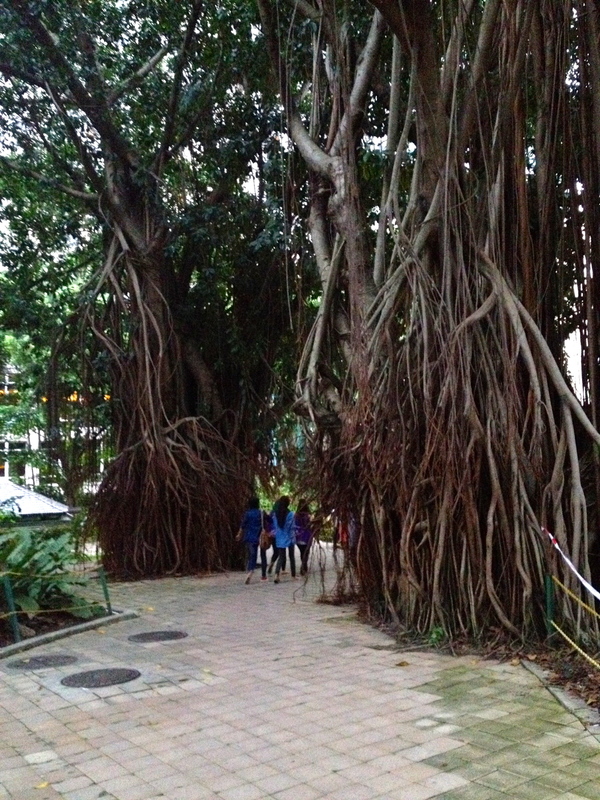 There were also some awesome trees in this park in the center of KL. 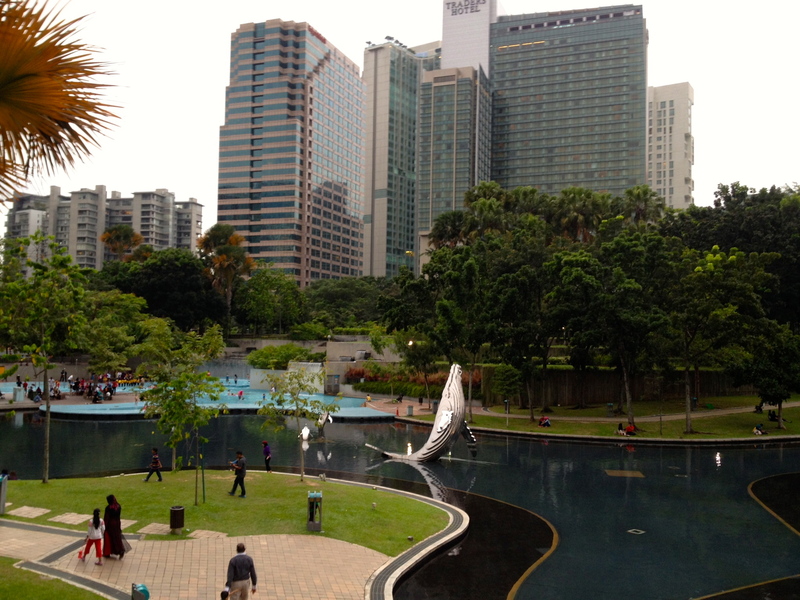 The mere fact that there is a park in the center of KL is pretty cool, too. It also has a 1300m track! It was a really fun afternoon and the Irish bar for dinner was great. It was nice to recognize every item on the menu for a change. The Gaelic football game that was on in the bar was enjoyable to watch, as well. We’ll definitely be back in KL. I want to explore Chinatown and see the MPO for sure! Am now on the email list for ur blogs. Loving reading it all. Pretty envious of ur whole experience. Can’t wait to read and see more.